For media enquiries: Noel Sweeney, Communications & Events Manager on 01 662 9212/ 085 724 1294 or by email. Contact us for help with your story. We want to keep lone parents and those sharing parenting, the issues they face and the great work they do – often in very difficult circumstances – in the news. We are always looking for the human stories behind the headlines by helping our colleagues in the media to speak with Mums and Dads from all walks of life. If you would like our input into a story, clarifications on policies or statistics, or an interview with or comments from One Family or a lone parent, please contact Noel on 01 662 9212 or by email. If you are a member of a one-parent family or sharing parenting and would like to share your story with us, we’d love to hear from you. Please email us. In 2017 One Family said goodbye to its premises Cherish House on Lower Pembroke Street, Dublin and celebrated its 45th year in existence. Before the move to our new location in Smithfield, Dublin, memories of Cherish House were shared by One Family founding member Maura Richards and current staff. You can listen to this short podcast at the link below. Podcast recorded and created by Judy-Meg Ní Chinnéide. Music credit: Søren Nissen Jørgensen. The music on this podcast is shared under a Creative Commons license by its composer Søren Nissen Jørgensen. Here is a short video featuring Mums and Dads who found themselves parenting alone through a variety of circumstances that highlights the need for constitutional change so that all types of families are recognised and protected. Listen to our founding member Maura O’Dea Richards recall what life was really like for women who were unmarried and parenting in the 1970s, and how Cherish/One Family was founded, in a candid interview on the Ray D’Arcy Show. Listen to short interviews with founder members Evelyn Forde, Annette Hunter-Evans, Margaret Murphy, Gráinne Farren and two of our first staff members, Nuala Feric and Anna Lee, or this short three minute SoundBites audio clip of their memories. 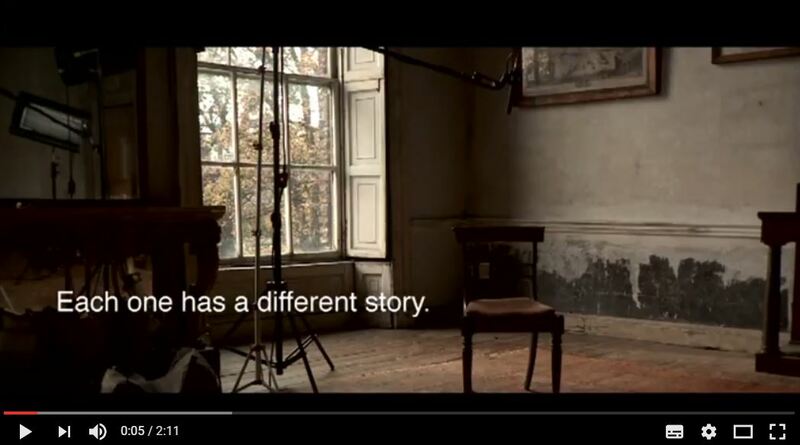 Listen to the documentary Cherish All The Children which includes challenging and insightful interviews with our founders Maura O’Dea Richards, Margaret Murphy, Evelyn Forde and Annette Hunter Evans; Mary Robinson; Minister Frances Fitzgerald; and current staff. Produced by Hilary Fennell, this documentary was first broadcast on Today FM on 29th December 2013. Here are stories in their own words from some of the thousands of lone parents who have taken part in our programmes or used our services, between 1979-2012. Click here to subscribe to our press releases by RSS feed. Click here for key facts and figures about one-parent families in Ireland. Visit our askonefamily Helpline and Information section for information on money, relationships, legal matters, housing, work and education for lone parents. One Family’s Communications Service is part-funded by the Department of Rural and Community Development under the Scheme to Support National Organisations 2016-2019.